Research supported by the NCRC has led to the identification of new agents for controlling lung inflammation in CF and the development of a cutting-edge nanoparticle delivery system. Children with cystic fibrosis (CF) have lower than normal levels of a protein called CFTR in their lungs. This directly leads to a range of health problems, including a damaging inflammatory response in the lungs, build-up of thick mucus, and infection. The inflammatory response is a major contributor to lung damage seen in CF, and it in turn is controlled by a number of cells and pro-inflammatory factors. A key feature of CF lung inflammation is an abnormally high level of inflammatory cells called neutrophils, in turn driven by very high levels of a pro-inflammatory factor called interleukin-8 (IL-8), produced by airway epithelial cells, the cells that line the lungs. This project aims to bring together two cutting edge technologies, nanoparticles and MicroRNAs, to both identify potential new drug targets, and to use revolutionary drug delivery systems. In recent years, genetic material known as MicroRNAs (miRNAs) have been found to be important in controlling many biological responses including inflammation, and they represent a new and exciting class of drug target. Prof Catherine Green’s research group has been working in the area of miRNAs in lung inflammation for many years, and were the first to identify the important miRNAs in CF lung disease. They now have a number of potential drugs that can target these miRNAs directly. One particular miRNA they have identified, miR-17, can actually dampen down IL-8, and, importantly, they have also found that it is in abnormally low amounts in the cells lining CF lungs. Can they increase the amount of miR-17 in the lung cells and turn off IL-8 secretion, and the inflammation it causes? This is the question this group are asking in this project. They have a tailor-made strategy to try to control lung inflammation via miR-17. Using specifically designed nanoparticles – ultra tiny particles designed to deliver a drug cargo –they are using new drugs that can improve the level of miR17, and testing these on lung epithelial cells from children with CF. There are many phases to this work. 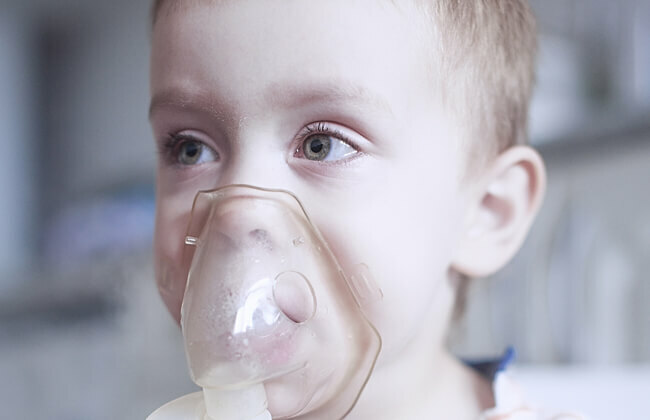 To begin with, lung cells are grown in the lab, as a model for the lining of the child’s lung, and these are then targeted with a number of drug-bearing nanoparticles. Then the most effective drug for controlling IL-8 secretion by the lung cells must be identified. The ultimate aim is to identify the most effective drug delivered by nanoparticles to the epithelium in order to control the agents driving the damaging inflammation. The long-term goal is that these therapeutic nanoparticles could be delivered using nebulizers, and be used to treat children with CF.